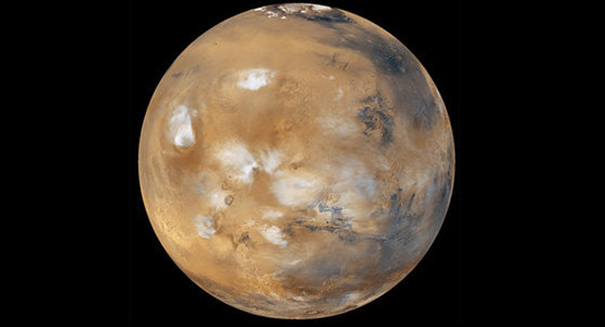 Congressional Republicans ripped the Mars mission in a recent hearing. Republicans ripped NASA’s ambitious mission to send astronauts to an asteroid before going to Mars at a recent hearing. As part of a “stepping stone” approach to putting humans on the Red Planet in the coming decades, NASA had planned to send astronauts to an asteroid, but Republican Rep. Lamar Smith of Texas, who is chairman of the House Science, Space, and Technology Committee, said at a recent hearing that this was a “time-wasting distraction” and added that it was “uninspiring,” according to a USA Today report. Smith noted that the Obama Administration had only nine months remaining, but the mission didn’t have the support necessary to make this mission happen in that time frame. NASA’s plans involve grabbing a chunk of the asteroid and towing it near the moon, but Republicans think the moon should be used as a launching pad instead for sending humans to Mars. Democrats haven’t been nearly as critical of NASA’s plans as Republicans have been, focusing instead on making sure that NASA has a clear road map on how to accomplish this, and ensuring that NASA has the money to do it. “NASA is developing a first-ever robotic mission to visit a large near-Earth asteroid, collect a multi-ton boulder from its surface, and redirect it into a stable orbit around the moon,” NASA describes the mission on its website. “Once it’s there, astronauts will explore it and return with samples in the 2020s. This Asteroid Redirect Mission (ARM) is part of NASA’s plan to advance the new technologies and spaceflight experience needed for a human mission to the Martian system in the 2030s.